Family Tree – The Next Real Breakthrough? 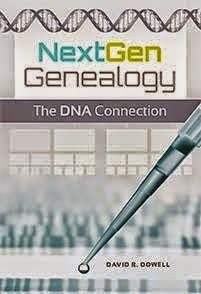 We are all familiar with the scenario of neophyte genealogists who want to take DNA tests so that they can be sent their entire family pedigree charts—perhaps on a flash drive or maybe it will be in the form of a downloadable file. We all get knowing chuckles out of this naive misconception of how complex it is to assemble one’s family history. What if they were the realists and we were the genealogical Neanderthals? What if they were the visionaries – except for the flash drive or the downloadable file? We are gradually being handed the tools to make this pipe dream a reality. The first decade of the 21st century has brought us DNA testing. The second decade is introducing us to a viable universal interconnected family tree. Jay Verkler laid out some of the intellectual concepts of such a tool in his 2012 RootsTech keynote address “Inventing the Future, as a Community”. If you missed Jay’s presentation in February or wish to review it again, it is linked above. As with all visionary systems, the first attempt at implementation is often less than a complete success. 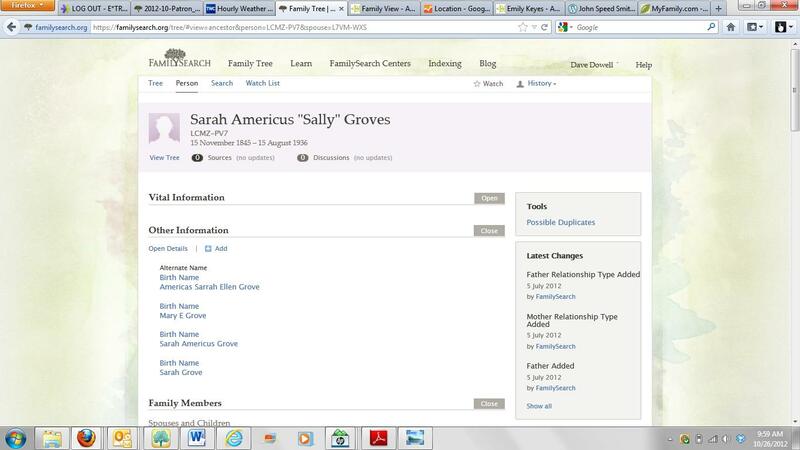 FamilySearch now seems to have seen some errors of the way it rolled out New FamilySearch. That effort to combine all the data in submitted family trees and extracted data resulted in a massive mess. Many of you may have very bitter tastes in your mouths from that experience. If you missed it, you are among the lucky ones. However, Family Tree, due for a launch in early 2013, has a chance to become the tool for taking the next big step in our ability to share genealogical information. The early look I have had at Family Tree was mind boggling. It certainly is exciting in concept. If it is executed properly, it will force most of us to rearrange some of our mental blocks. · 8. Unless deceased, persons born in last 110 years will have data displayed only in the account of the person who entered them. My instructor opined that we would soon give up our genealogical software such as Personal Ancestral File (PAF), RootsMagic, Family Tree Maker as we come to realize the reliability and functionally of Family Tree has make that effort redundant. This blogger was born in the “Show me” state so he will probably be keeping his RootsMagic for the foreseeable future. I’m eager to get started cleaning up some of my lines that I have already seen in Family Tree. This exciting program is scheduled to be made available to all of you in early 2013. The functionality that will allow you to upload pictures and other media is still being worked on but is expected by the time of the public launch. Some genealogists may have to be left wandering in the 20th century wilderness to gradually die off so that the rest of us, who share a different vision, can move forward.